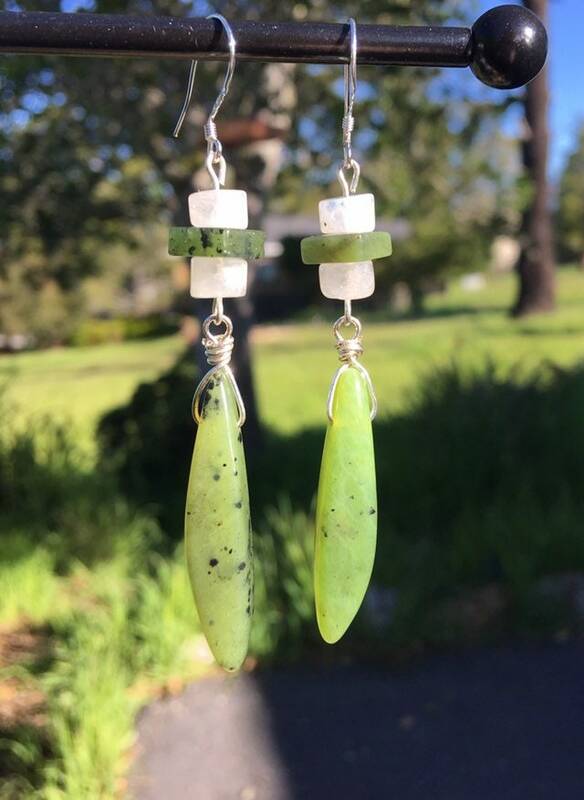 These beautiful and unique British Columbia jade earrings are a light, apple green, with light and dark patterns. 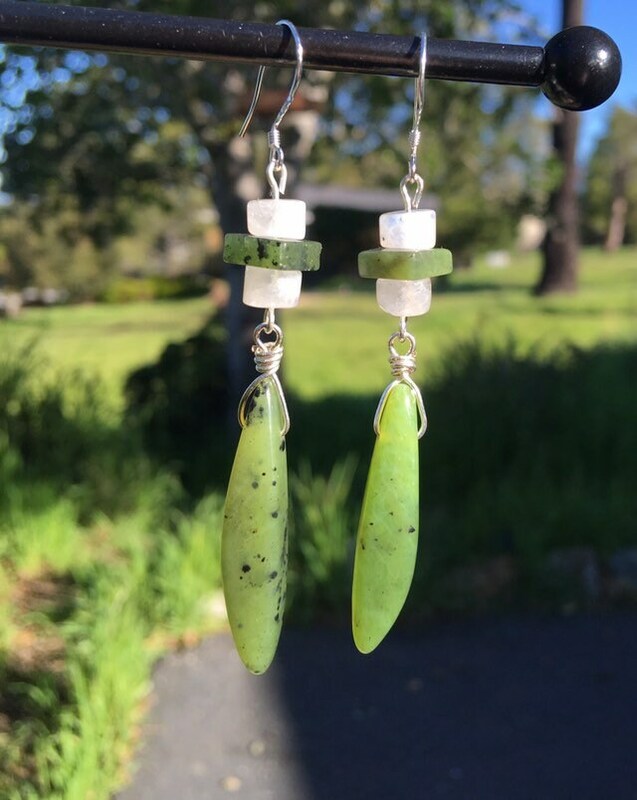 They are paired with lovely moonstone beads. A really fun pairing. 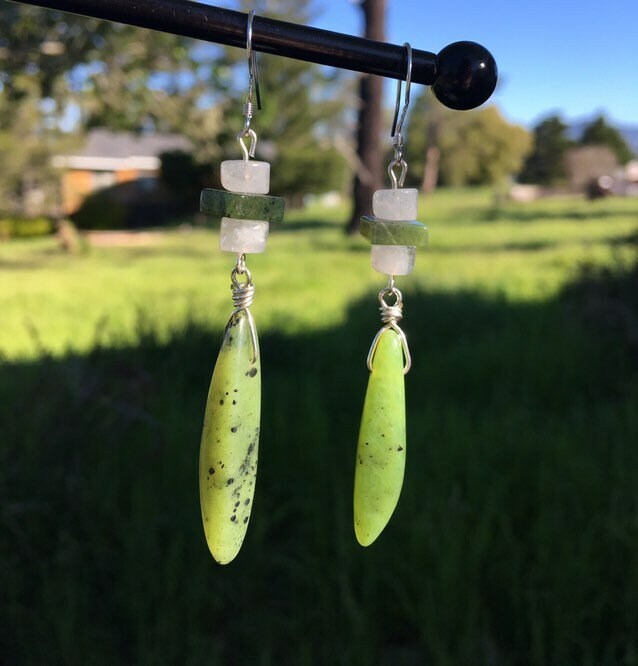 These are 2 1/2” long. Earring hooks are .925 sterling silver. 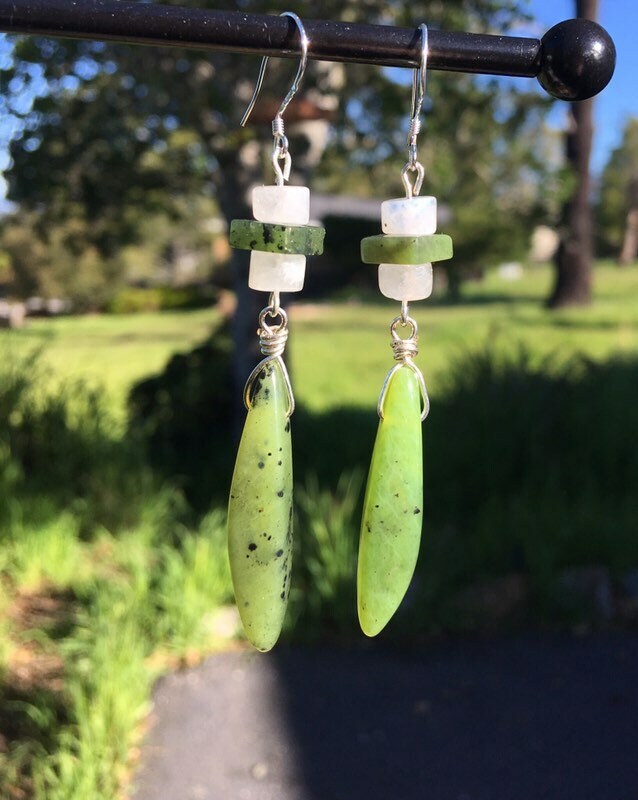 The earrings will be wrapped in tissue paper, put in a box and mailed First Class in a bubble mailer. Be sure to check out our many other items.